At a media briefing on 7 December 2017 during the so-called “Energy Indaba”, energy minister David Mahlobo announced that the long-awaited Integrated Resource Plan for electricity, IRP 2017, had been finalised and approved by the cabinet the night before. IRP 2017 sets the course for the technology mix, quantum and timing of new generation capacity required to meet South Africa’s electricity demand forecast for the years from 2017 to 2050, and it therefore has massive economic, social and cost implications. The Energy Indaba had been hastily arranged by the Department of Energy (DoE) and its subsidiaries, CEF and NECSA, for 7 and 8 December, shortly before the ANC elective conference scheduled from 16 to 20 December 2017. 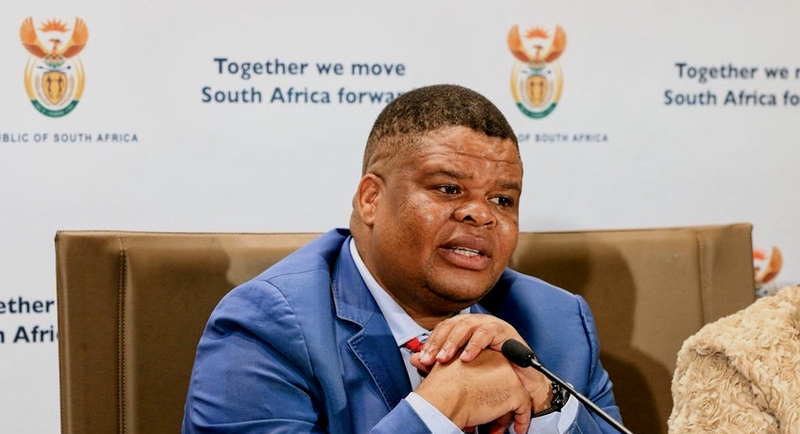 Instead Minister Mahlobo said IRP 2017 would simply use the generation mix determined in the long-outdated IRP 2010-2030, with all technologies scaled back proportionally by about 20% as a result of a reduced demand forecast. It was explicitly stated on page 6 of the promulgated IRP 2010-2030 that the 9,6 GW of nuclear power in the mix to 2030 was not the outcome of the least-cost scenario modelled, but rather it was a policy adjustment “to account for the uncertainties associated with the cost of renewables”. The learning curves for renewable energy used in IRP 2010-2030 assumed the costs of renewable energy would decline significantly, but this had not yet been proven through the REIPPP process. 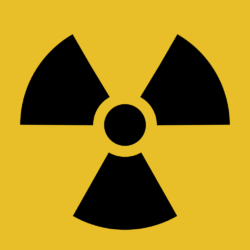 Nuclear power therefore came into the mix as a policy decision to mitigate this risk. However the real rationale for adopting the IRP 2010-2030 generation technology mix in IRP 2017 could be just to adopt quick and simplistic approach to maintain the mix previously approved in 2011, but with each technology simply reduced proportionally, ostensibly to account for the new demand realities. This would, of course, maintain nuclear energy as a significant part in the mix, while overcoming all modelling outputs indicating that nuclear power is not required at all in light of proven renewable energy cost reductions. 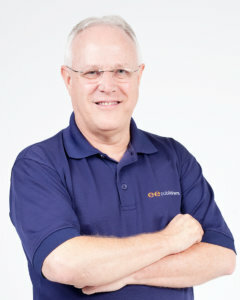 Depending on the nuclear technology cost assumed, preliminary modelling indicates that by 2030 the technology mix stated by Minister Mahlobo for IRP 2017 will cost South Africa between R25-billion to R50-billion more per year than the optimal, least-cost scenario presented in the latest IRP study by Eskom, as well as in several IRP studies based on international best-practice. If the lesser (R25-billion) annual differential by 2030 is assumed, with a linear increase for the cost differential from 2017 to 2030, the accumulated additional cost by 2030 will be R100-billion (in present value Rands) above the optimal least-cost option – with no cost/benefit analysis conducted. There is clearly a dumbing down and a reckless populism in energy decision making by government as the Zuma period draws to an end in South Africa. 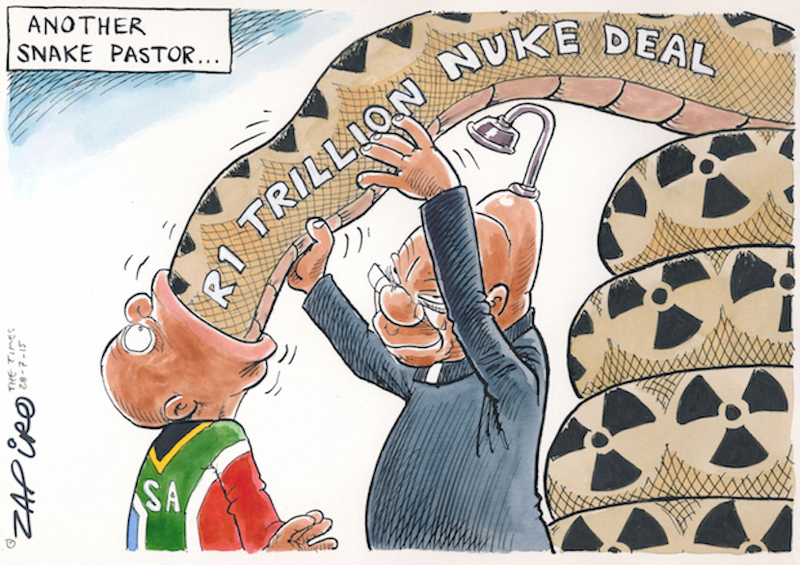 Zapiro clearly has strong views on SA President Jacob Zuma’s desire to land taxpayers with a $100bn nuclear power fleet. 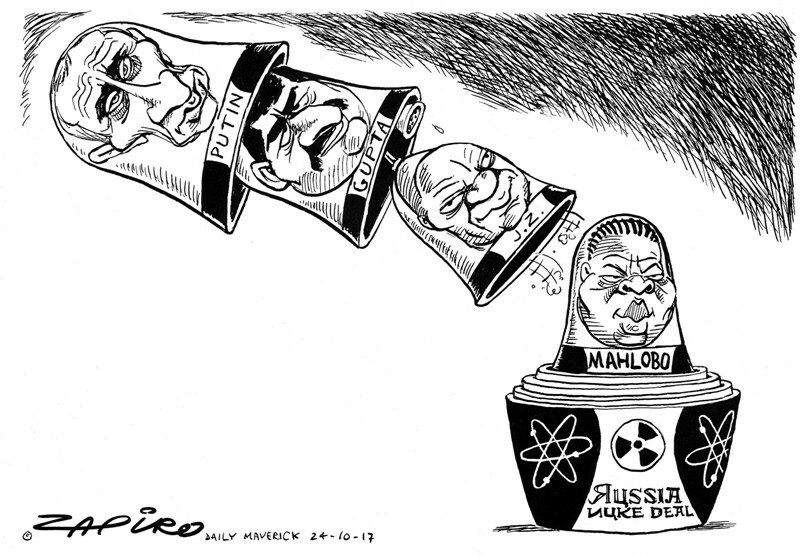 More of his magic at www.zapiro.com. The current chaotic IRP 2017 planning process outlined by Minister Mahlobo may only be stopped by a legal challenge, or a change in political direction following the ANC elective conference from 16 to 20 December 2017. “If the approved IRP 2017 simply reduces the various energy sources proportionally from that indicated in IRP 2010-3030, then the public comments given earlier this year on the base-case and its assumptions – including expert input from various reputable research institutes – were not taken into account. This makes a legal challenge extremely likely, with good prospects of success in court”.